Dr. Malek believes that staying on the forefront of dentistry and working closely with his patients are the keys to providing them with exceptional periodontal and dental implant care. Every year he goes well beyond the continuing education requirements of Minnesota, to ensure he knows the latest techniques in both periodontics and dental implants. 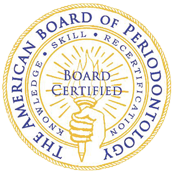 Dr. Malek is a diplomate of the American Board of Periodontology. This signifies that he made significant achievements beyond the mandatory education requirements of the specialty of Periodontics and Implantology. Dr. Malek earned his general practice degree from Misr International University in Egypt. There he was class president and graduated with high honors, giving the graduation speech for his entire class. Upon graduation he was awarded the Medal of Scientific Excellence by the Egyptian Dental Union. 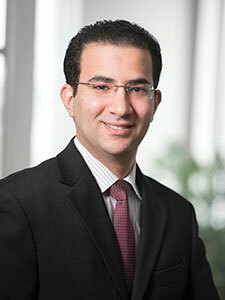 Then Dr. Malek completed his Periodontal Residency Master’s Degree at Case Western Reserve University (CWRU). CWRU is nationally recognized as having an excellent periodontal surgery & grafting program, as well as a top-notch implant surgery center. While at Case Western Reserve University he did research regarding the link between oral cancer and periodontal disease. He was one of three finalists who presented their research at the Midwest Society of Periodontology meeting in Chicago. Dr. Malek has volunteered in a number of community dental clinics. He also is a participating member of several local dental study clubs. He is also fluent in French and Arabic. Dr. Malek enjoys many outdoor activities, including scuba diving, boating and skiing.